One must propagate H.H. Dorje Chang Buddha III and Sakyamuni Buddha’s Buddhism, Buddhist Studies and Buddha Dharma. By abiding by the Tripitaka and the esoteric scriptures of the Tibetan Vajrayana, one must develop correct view and knowledge, be of benefit to all sentient beings, forsake erroneous and evil beliefs, and give up feudalistic and superstitious acts. 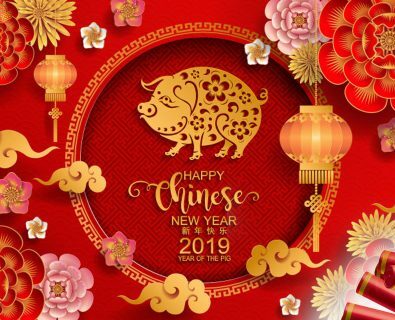 May the world forever enjoy lasting peace and all human beings forever possess happiness. Based on faith, vows, cultivation, shila (moral discipline), samadhi (meditation), and prajna (wisdom), one must eliminate greed, hatred, and ignorance, cut off one’s attachment to the notion of self and the dharma of liberation and help all living beings without fear. One must firmly abide by the four great vows and earnestly carry out the six perfections, the ten virtues, the four limitless states of mind in order to strengthen one’s moral character. H.H, the 17th Gyalwa Karmapa of the Karma Kagyu sect, Trinley Thaye Dorje, recognized that Venerable Hsi Jao Seng Ge III Dharma King Palden Lodoe, the head of the Macang Monastery in San Francisco and president of the Tibetan Buddhism Association of America, is the incarnation of Lama Xuedu Yongde, who was the chief secretary for the 16th Karmapa. H.H. the 17th Gyalwa Karmapa Ugyen Trinley Dorje wrote a congratulatory message to the Dharma King. Lama Xuedu Yongde received all of major and minor initiations of the Kagyu sect. In his old age, he went into solitary retreat to cultivate himself, and later past away in his retreat. Who was Xuedu Yongde an incarnation of ? No rinpoche, with qualification for recognizing a reincarnation, had investigated that by applying the practices of Tibetan Buddhism relating to recognizing the identity of a rinpoche until the ninth Khenchen Rinpoche.The ninth Khenchen Rinpoche, who holds a high and prestigious position at Nyingma Mindrolling Monastery and only second to the leader of the Nyingma sect, affirmed in accordance with the Buddha dharma that Palden Lodoe’s earlier identity was Venerable Macang-Hsi Jao Seng Ge, who founded the Macang branch of the Kagyu sect. The entire Jiang-rang Monastery further reaffirmed that recognition and presented him a dharma king robe of that dharma lineage. 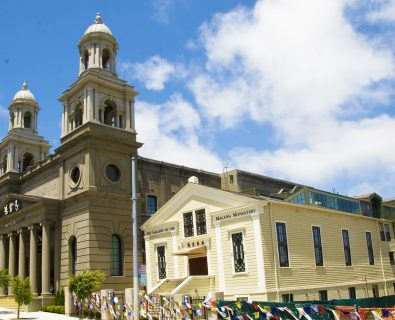 After receiving the dharma king robe, he became the first dharma king of the Macang Monastery in San Francisco. This identity is officially recorded in the treasure book – “H.H. Dorje Chang Buddha III”. Therefore, during this wonderfully karmic time as Buddhist organizations from all over the world are honoring this treasure book “H.H. Dorje Chang Buddha III” in San Francisco, the Temple of Good Fortune and Wisdom was additionally named Macang Monastery. 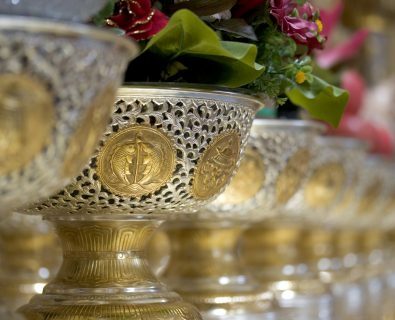 Before the Macang Monastery was opened, it earnestly requested and was granted permission to hold an exhibition of H.H. 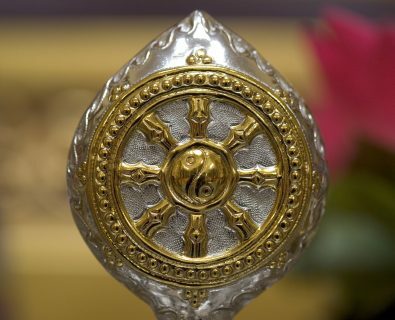 Dorje Chang Buddha Ill’s achievements in the form of world-class treasures in eighteen categories. Through that exhibition, H.K. Dorje Chang Buddha III brought blessings and empowerment to mankind and an auspicious beginning to the Macang Monastery. 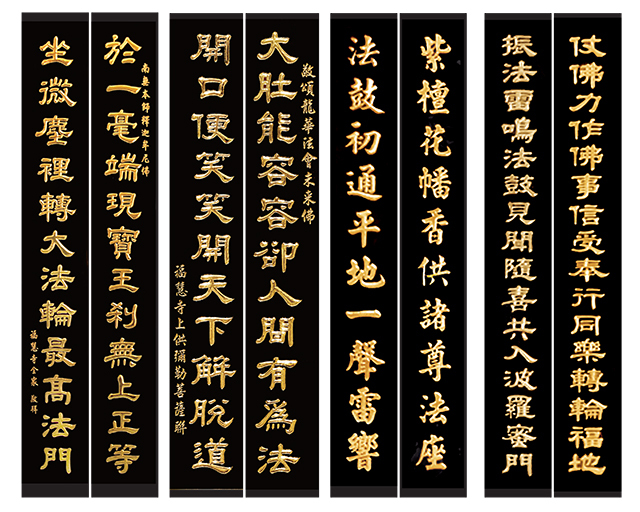 The golden Chinese characters “Ma Cang Si” inscribed on the horizontal board over the doors of the temple were made from the calligraphy of H.H. Dorje Chang Buddha III. The calligraphic style of those characters transcends the worldly and conveys the strength of iron or steel. The English words over the doors were written in the calligraphy of Her Most Eminent Highness Biquyu Jinba Rinpoche, who is the world’s youngest world-class artist. The lineage of the Macang Monastery is from H.H. Dorje Chang Buddha III. The Macang Monastery has an authentic Buddha-dharma lineage. 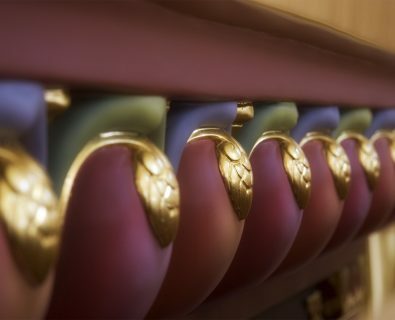 Upon entering the three doors leading to the inside of the temple, one will see that the Heavenly Kings Hall, the Maitreya Bodhisattva Hall, and the Sakymuni Buddha Hall are connected together. Behind the Maitreya Bodhisattva Hall is the dharma protecting deity Skanda Bodhisattva, who is facing the Sakyamuni Buddha Hall. In the Sakyamuni Buddha Hall, there is an over twenty-six foot (eight meters) high statue of Sakyamuni Buddha, over twenty foot (about six meters) high statues of Manjusri Bodhisattva and Kuan Yin Bodhisattva (Avalokiteshvara Bodhisattva), and statues of sixteen arhats on both the right and left sides. The statues are exquisitely painted with lively colors and are solemn, vivid dharma images. In the front the Sakyamuni Buddha statue are dharma images relating to the Buddha-dharma lineage. On the left are Tangtong Gyalpo Bodhisattva, a senior fellow disciple of the Venerable Hsi Jao Seng Ge, and some of his disciples in his last lifetime. On the right is the dharma altar of Vajravarahi. The ten mandalas are on both sides. 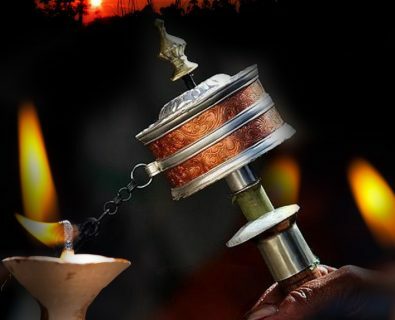 READ MORE "2019-04-13 Sincere Repentance Dharma Assembly"
READ MORE "2019-03-18 Beseeching Blessings Dharma Assembly for the Thirteenth Anniversary of the Temple"
READ MORE "2019-02-03~2019-02-05 Beseeching Blessings Dharma Assembly in Chinese New Year"
READ MORE "Jan. 19 & 22 – Food Drive in Celebration of “His Holiness Dorje Chang Buddha III Day” Beseeching Blessings Dharma Assembly"
READ MORE "USA Today–Statement by World Buddhism Association Headquarters 4-5-2019"
READ MORE "Asian Journal: Wangzha Shangzun Truly Transcends the Ordinary"
READ MORE "USA Today–Statement by World Buddhism Association Headquarters (2-15-2019) 今日美國報–世界佛教總部聲明"
READ MORE "Washington Times–Statement by World Buddhism Association Headquarters (1-28-2019)"
1822 Eddy Street, San Francisco, CA 94115, U.S.A.